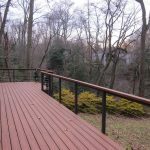 Posts are one of the most essential pieces of a cable railing system, and since your post choice will influence other aspects of your project, it should be selected before anything else. 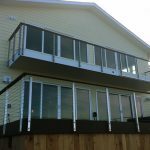 We offer four post options: square aluminum, round stainless steel, square stainless steel, and square Ipe wood. 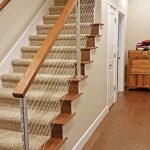 Our Aluminum Posts are our signature line, boasting the natural lightness of aluminum with a unique inner-webbing design and thicker walls for increased resilience. All aluminum products are available in five colors: black, bronze, clay, natural, and white. We also offer two styles of stainless steel posts, made out of the same marine-grade stainless steel we use for our cable and end fittings. The rounded shape has a smooth, industrial look, while the square offers a more classic shape combined with the gleam of polished metal. Lastly, we also offer wood posts made from Ipe Brazilian Walnut, an exceptionally beautiful and durable wood. Browse the categories below to find the right posts for your project. Visit our GALLERY for visual inspiration or our LEARN MORE section for additional information on these material options. Call us any time at 855-820-8439 if you have any questions. 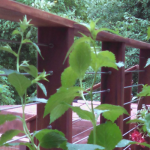 Once you’ve selected your posts, we suggest choosing your TOP RAIL, followed by CABLE and FITTINGS.